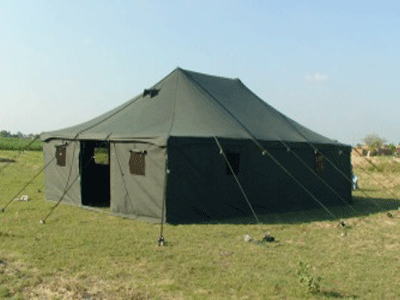 A traditional military style tent with freestanding roof, detachable walls, wall poles and centre poles. Hiproof Tents can be used for various applications such as accommodation, diners, kitchen and offices. we included all these aspect in a stunning, yet realistic product to African countries. We prefer the most proper raw materials there must be exacting consideration and emphasis given to the realistic needs of the consumer, jointly with aesthetically beautiful features. Faster assemble and disassemble as well as easy handling Series supports you immensely in all operational situations. 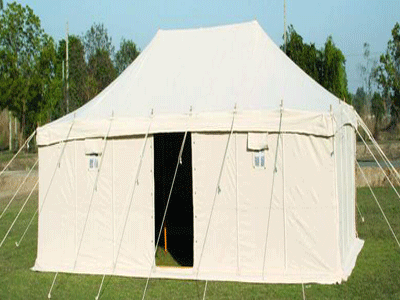 Select the tent size you require from four different models. Or erect complete tent towns using the docking tent. Hip Roof Tents is perfectly equipped for various scenarios thanks to its optimum usable width and the well conceived functions.